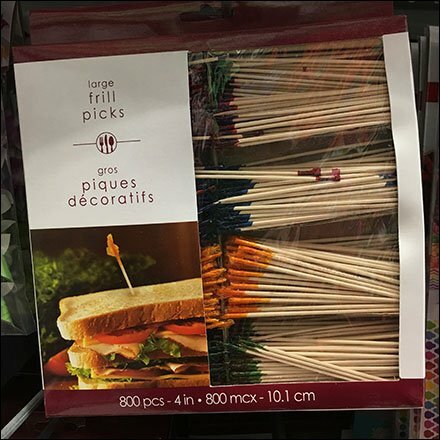 If your Cocktail merchandising a bit showier, and less able to stand upright on a shelf you may need to graduate to Cocktail Toothpick Hook Category Management. Again the title broadened for greatest recognition across retail, for the more lowly mainline stores may not off Cocktail Picks to the well-to-do, only toothpicks to us mere mortals. In any even follow both Shelf and Hook Category Management via the links immediately below. This Cocktail Toothpick Hook Category Management seen at Party City. For Specialized Category Definition reporting see….